FUCHSITE combined with KYANITE nurtures and protects the heart. 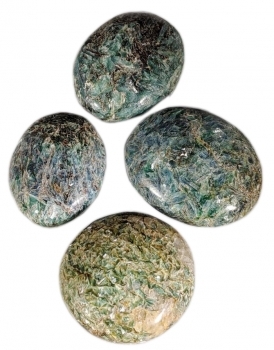 Fuchsite is a powerful healing crystal. Kyanite is a powerful protector. A must-have for those whose hearts are open and vulnerable. You need to protect yourself to stay healthy and balanced. This is my favorite crystal for those opening their hearts to love. In order to find and attract true love, your heart must be open. 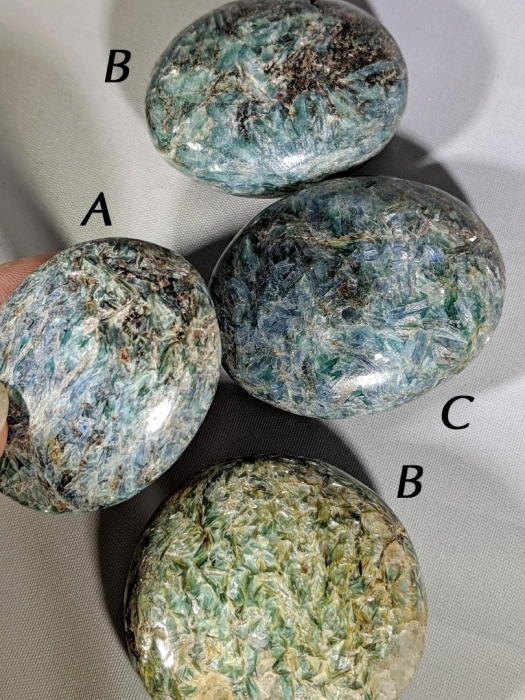 You also have to set boundaries and protect yourself and this is what Fuchsite Kyanite does. 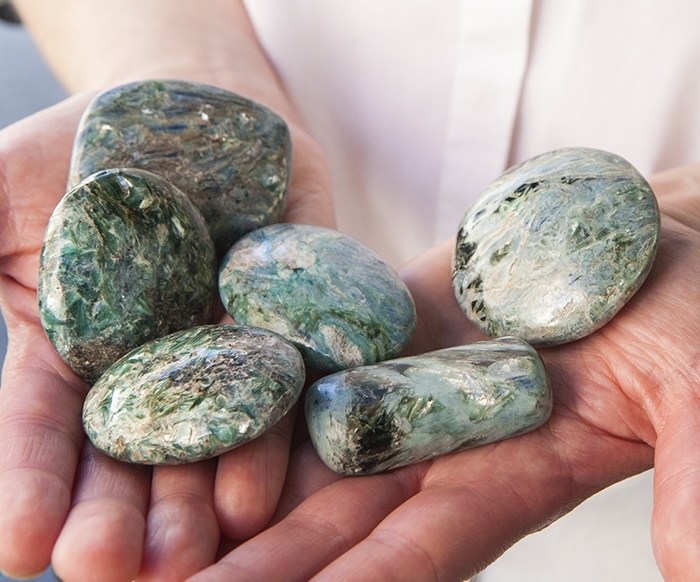 Fuchsite Kyanite is the go-to for protecting your heart - hold while meditating, carry with you or place by your bed.